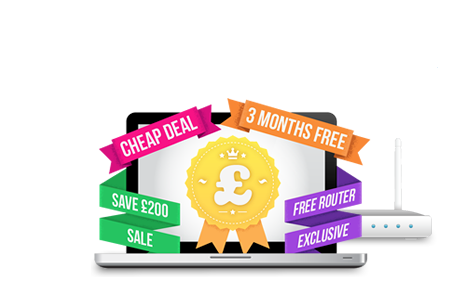 Satellite broadband can get you online even if you're in area not covered by the UK's telephone or fibre broadband network. What's more, satellite broadband in the UK is now much cheaper and faster than it used to be and doesn't require a huge outlay for a satellite dish and installation. What speeds can I expect with satellite broadband? UK satellite internet supplier Tooway offers two plans: a basic service with a maximum connection speed of up to 2Mbps and a premium service with a maximum connection speed of up to 5Mbps. These kind of connection speeds aren't even close to the super-fast broadband service you get with fibre from the likes of Virgin Media or BT or even 4G mobile broadband. But they're comparable with standard ADSL and 3G mobile broadband. Can I get satellite broadband? The best thing about satellite broadband is that you can get it almost anywhere. Provided you're in a country in which the satellite broadband provider operates, it doesn't matter how remote your location is. This is because a broadband connection is delivered via a satellite dish and does not depend on the reach of the UK's telephone exchanges nor the fibre, 3G or 4G networks. How much does satellite broadband cost? Not too long ago, satellite broadband probably deserved its reputation as prohibitively expensive. However, as providers have grown their customer base, economies of scale have meant that prices have come down. Tooway's entry-level satellite broadband product is now priced almost in line with ADSL broadband. A fairly substantial outlay for the satellite dish applies, of course, but monthly prices are relatively cheap. Unlimited download allowances are commonplace with fibre and ADSL broadband. But they're much rarer with satellite internet. That said, you can still find products with allowances of up to 10GB per month, which should be fine for most users.